I love this book, Bebe and Cam are gorgeous characters and there's a lot of fun to be had. Bebe believes the universe is against her ever keeping the love of any boy because they all end up falling for her beautiful sister, Beth. Little does she know that her long term crush actually reciprocates her feelings. Cam is scared of wrecking their friendship if he confesses his feelings but he turns to Beth for help in winning over Bebe. The lengths Cam goes to for Bebe are really cute and romantic, but as her secret admirer it makes things complicated. I highly recommend. Perfectly Oblivious is an amazing book. I was surprised to learn it was a first book it’s so well written. 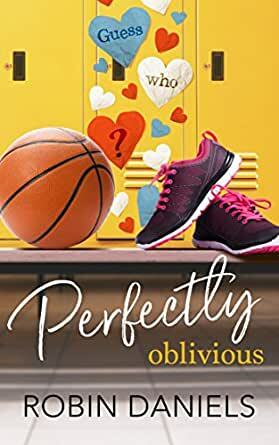 The characters are great, the tension and plot had me page turning till midnight, and the quips between Bebe and Cam had me laughing out loud in many places. A great read. I look forward to sharing with all my friends’ daughters. WOW. What a great book, I can't believe that this is your first book, half way through the story I checked to see what other books that you had written, that's how good I thought the story was, I loved all the characters and your ending was just great, I think you are going to have many followers once they read this book, great job and all the best. 4.0 out of 5 starsTeen romance, plot twists, relatable characters, this book has it all! I thought that this book was a good book, and worth reading if you like a bit of teen romance, but it could have had a few metaphors or similes to describe in more detail.